Raise your hand if you would like a new outfit! I’m so excited about this giveaway because THREE of you will win a gift card to one of my favorite online shops, The Blue Door Boutique! I started following The Blue Door Boutique on Facebook a long time ago. They are constantly updating their site and facebook with new outfits and everything they sell is SO cute. Loving the mustard yellow color of this dress! I think that TBDB has made me into a dress girl. I've never seen so many that I love! 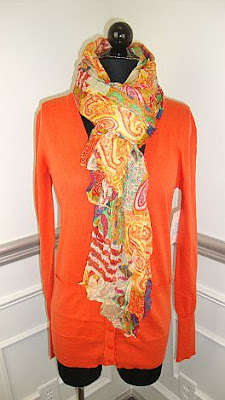 You know I love a cute scarf! 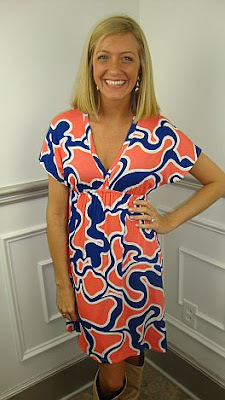 And a good chevron stripe! The Blue Door Boutique is CONSTANTLY getting new merchandise – just about every time I check there are a ton of new outfits. And most of their items are less than $100. 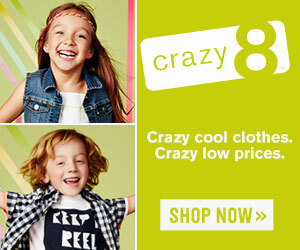 Fashionable clothes at budget friendly prices = score! I know that most of you who read my blog are busy moms like me, and sometimes that means that we just don’t take the time or spend the money on getting a cute outfit for ourselves. 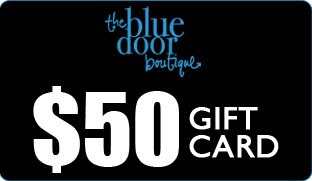 That is why I am so thrilled to be giving away THREE $50 gift cards to The Blue Door Boutique! 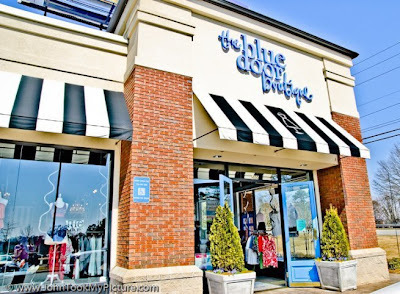 Follow The Blue Door Boutique on Facebook (and let them know Jenna’s Journey sent you!) for 1 entry. Follow my blog (or, if you already do, my Pinterest) and leave me a comment for 1 entry. Be sure to include your name, email and number of entries earned. Finally, you can tweet or Facebook about this giveaway for 1 entry. So simple, right?! This giveaway will close on Friday, at which time I’ll draw the winners! Good luck! !